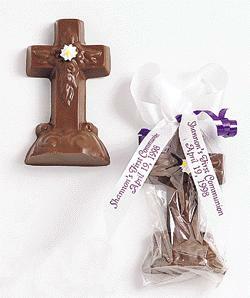 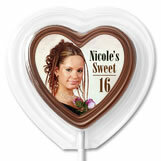 Our Chocolate favors are a wonderfully sweet way to end your special day. 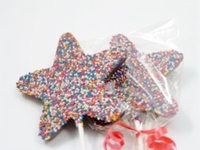 A delicious edible party favor that your guests are sure to enjoy. 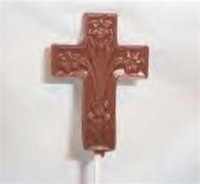 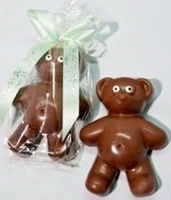 Our delicious chocolate lollipops, and chocolate favors make wonderful Baby Shower Favors, Christening and Baptism Favors, First Holy Communion Favors and Kids Birthday Party Favors. 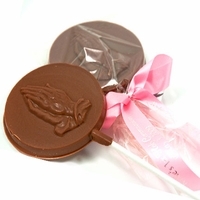 Our chocolate lollipops and chocolate molded favors are made of the finest Milk Chocolate, and are available in many different shapes and sizes. 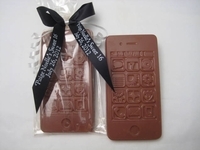 All of our chocolates are custom made to order to ensure freshness. 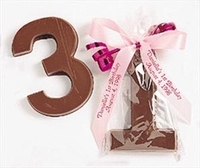 Each chocolate favor will be finished off with cellophane and your choice of personalized ribbon for an extra fee, or non personalized ribbon free.